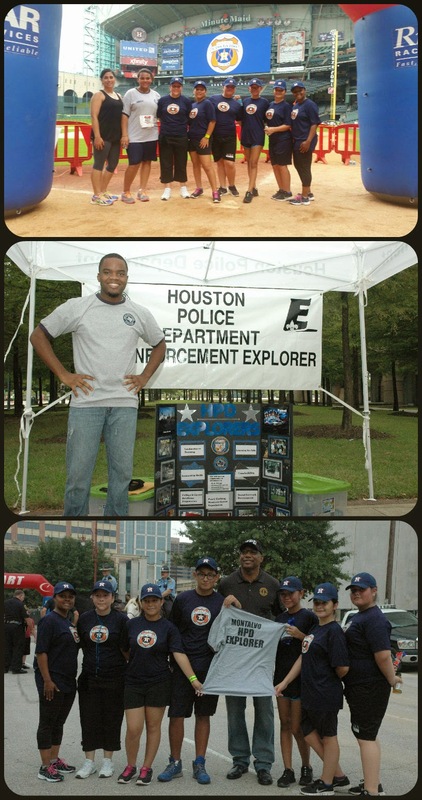 Thank you to everyone who came out this past Wednesday to support the HPD Explorer program. 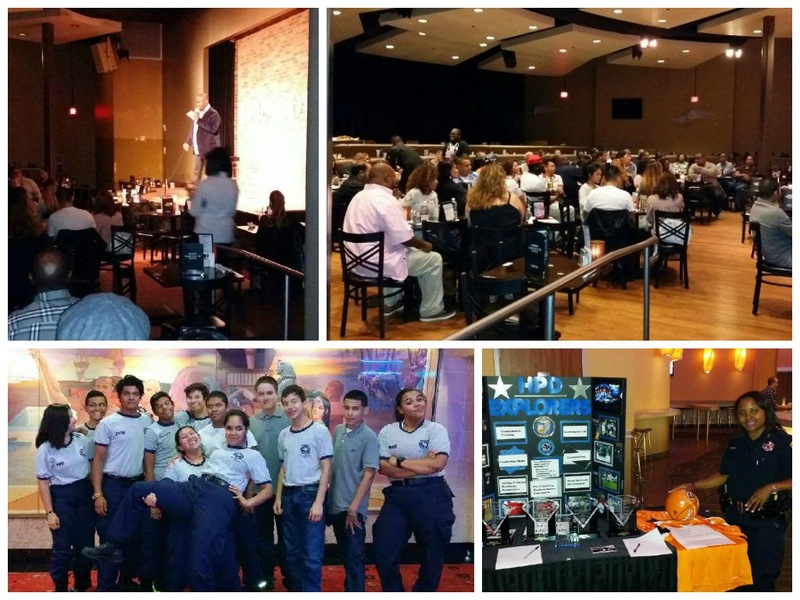 A good time was had by the explorers at the movies while the adults enjoyed a great comedy show. 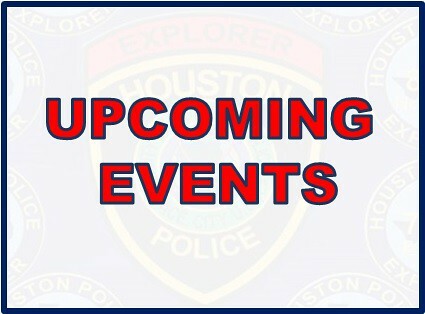 For more pictures, please go to the HPD Explorer Flickr page at THIS LINK. 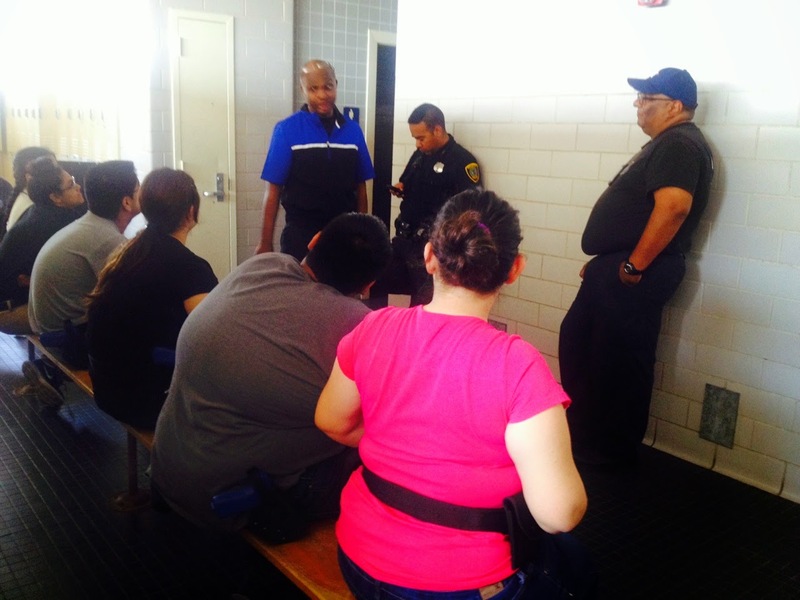 Explorers held a group training session last week at the High School for Law Enforcement and Criminal Justice. 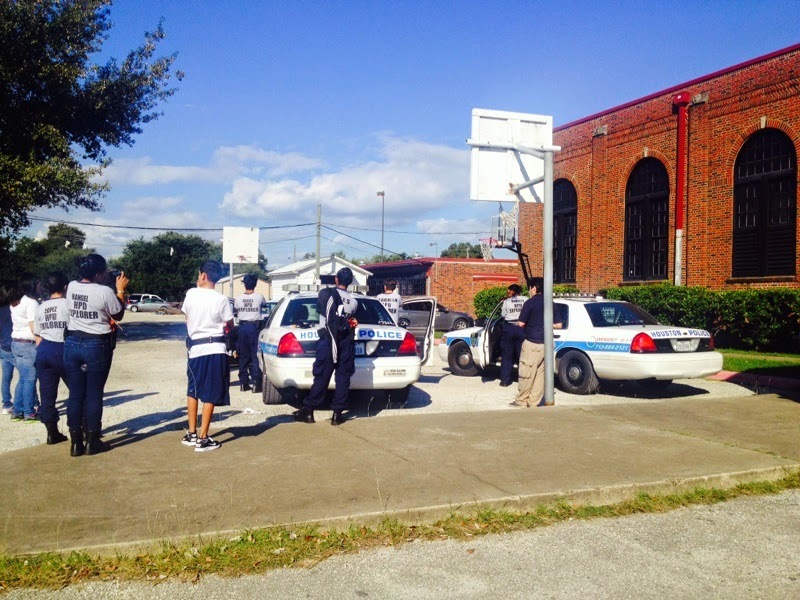 They worked on tactics in situations such as felony traffic stops and building searches. 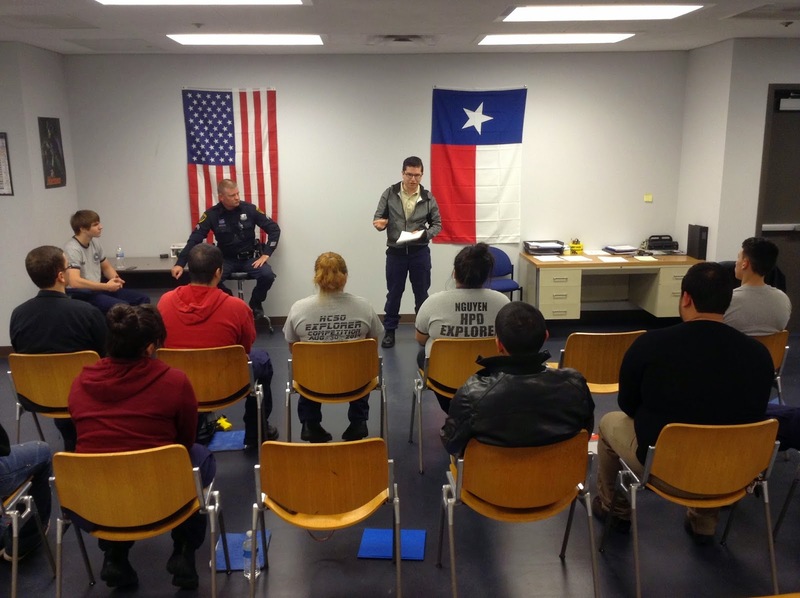 For more pictures from this training session, go to the HPD Explorer Flickr account at THIS LINK. 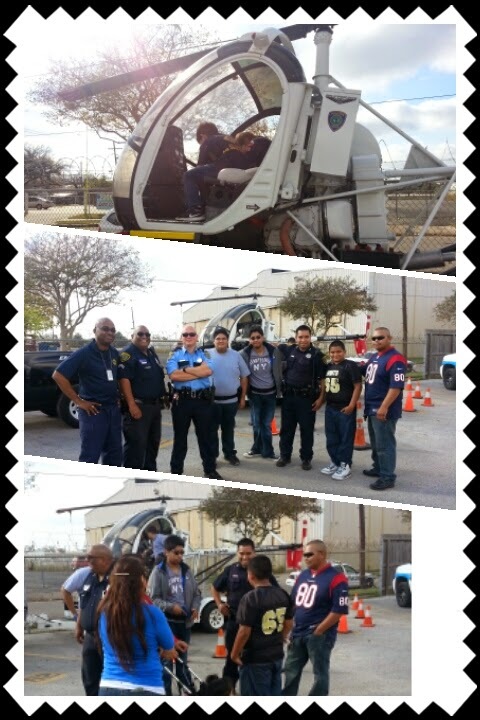 HPD Explorers took part in The W.A.V.E last weekend. 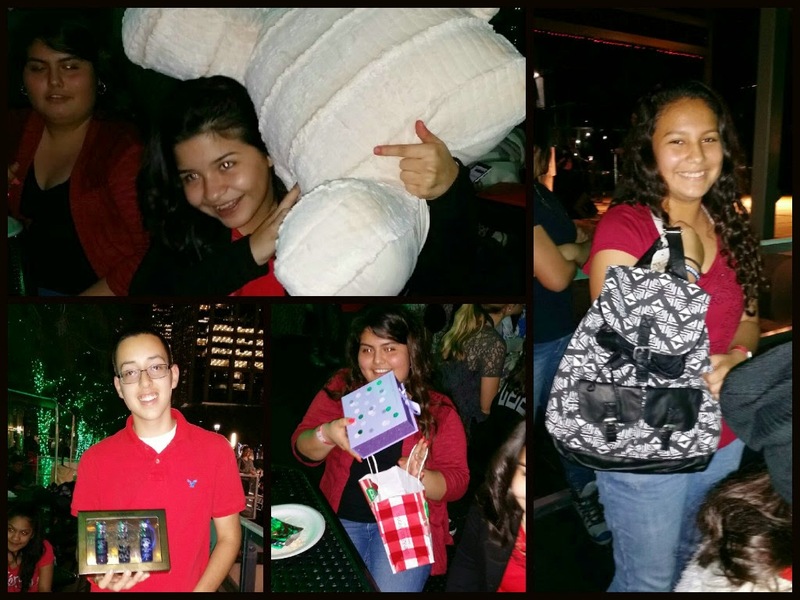 The W.A.V.E is a domestic violence awareness event presented by Toiletries for Families each year. 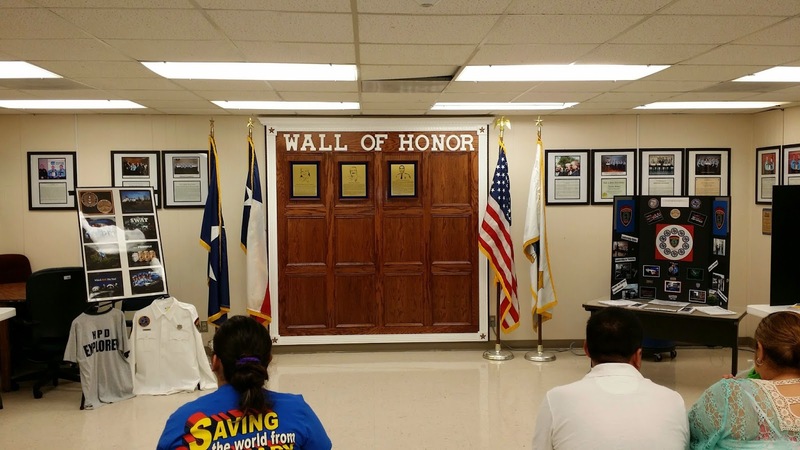 The event honors those lost to domestic violence. 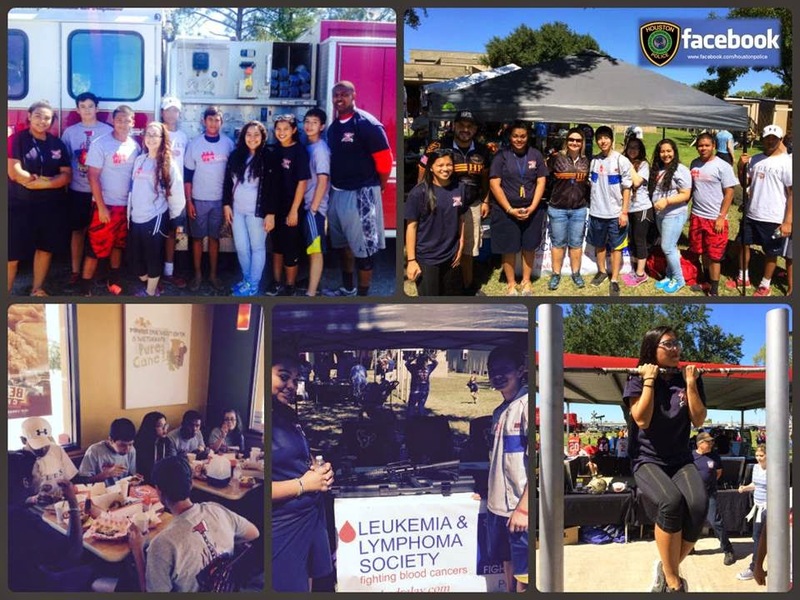 Westside Post 3203 volunteered at the Walk Like MADD fun run and walk by helping to set up tents, move equipment, and run/walk the event. 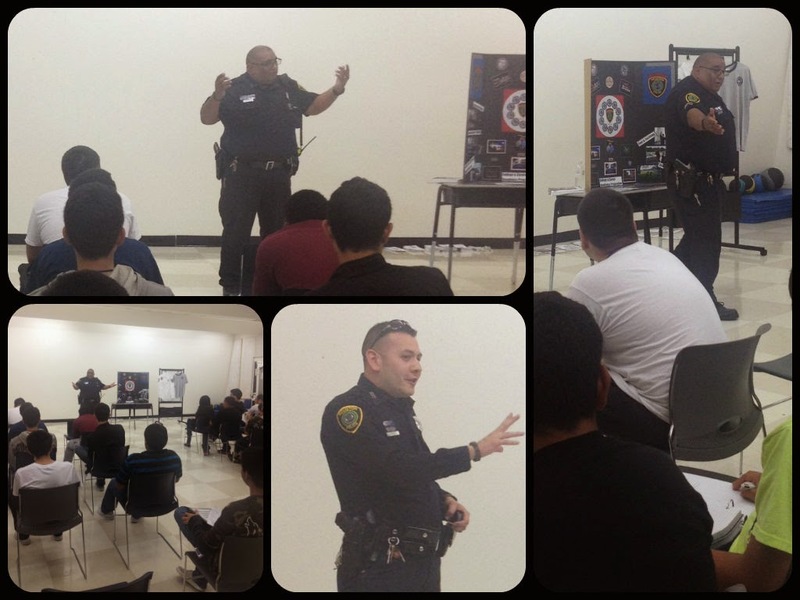 Officers Hernandez and Cisneroz recently spoke to students at Chavez High School about joining the HPD Explorer program. 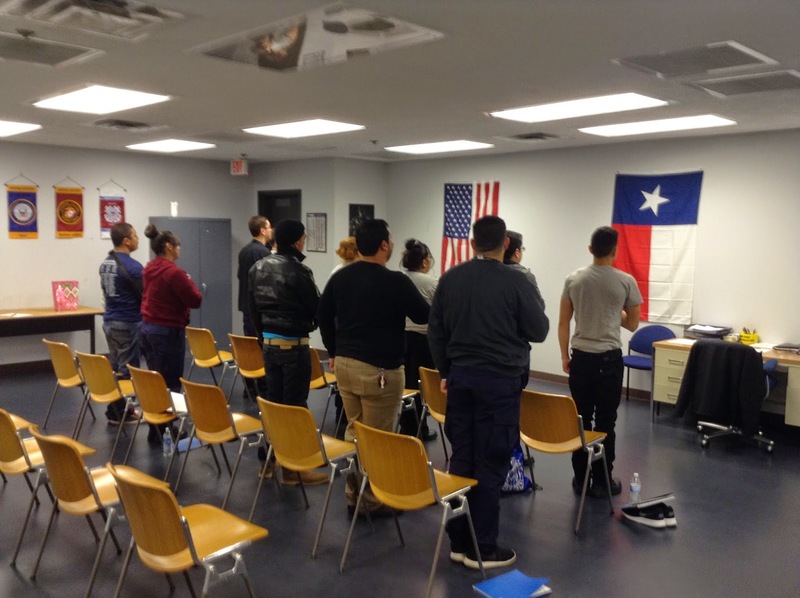 The Eastside post, along with the High School for Law Enforcement and Criminal Justice, are the two newest HPD Explorer posts. 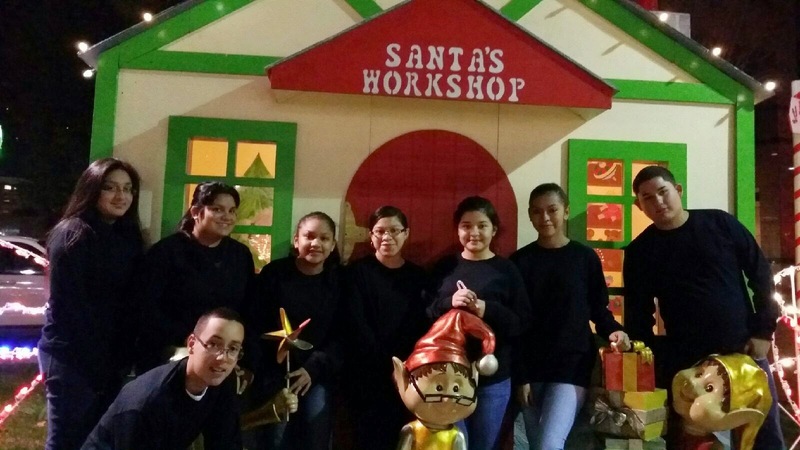 The program is free and open to boys and girls 14 years of age (and have completed 8th grade) up to 20. 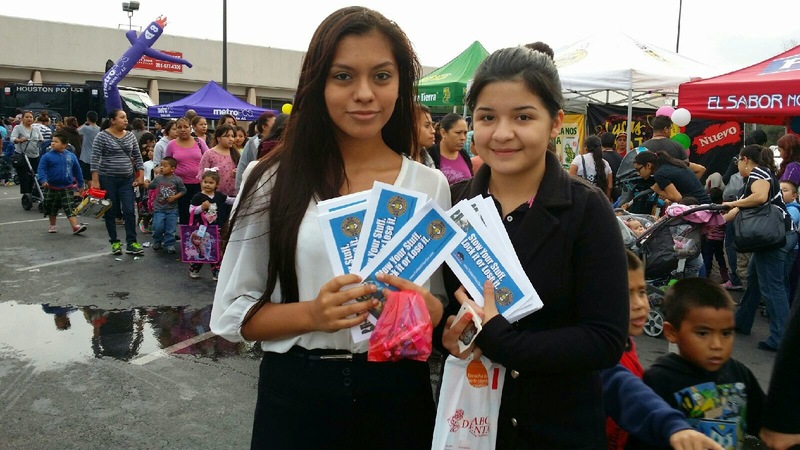 For more information about the Eastside Explorer post, call 713-928-4600. 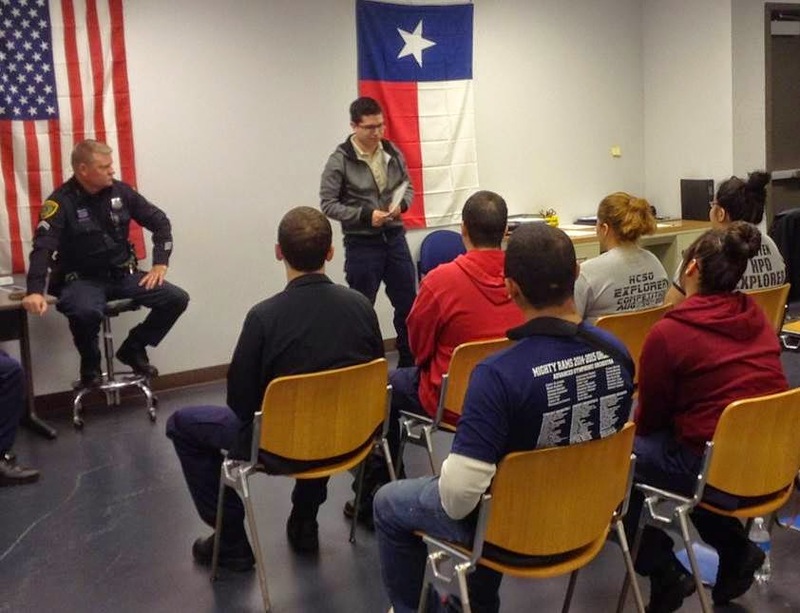 The Midwest Explorer Post held an open house this week and signed up 8 new explorers to the post. 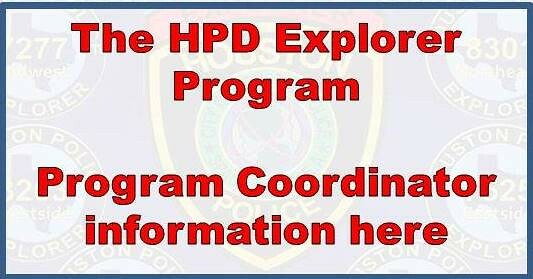 All HPD posts are looking for new explorers. Go to the ABOUT page to see the list of the 10 posts and find the one closest to you. Click on the station address for a map. 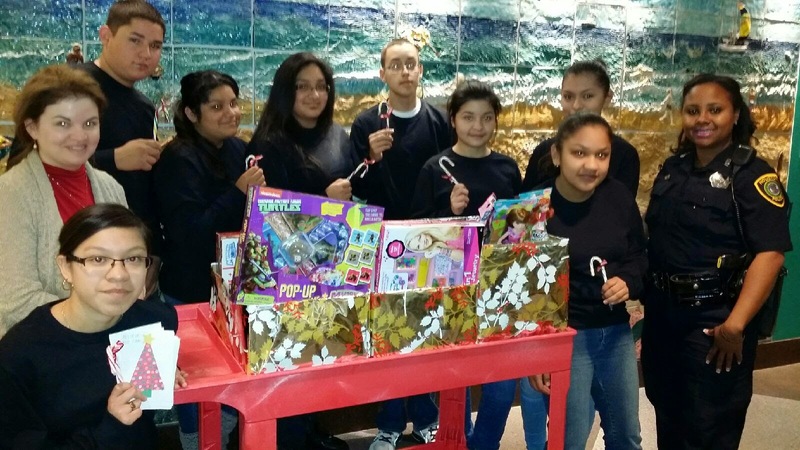 HPD Explorers do many philanthropic events. 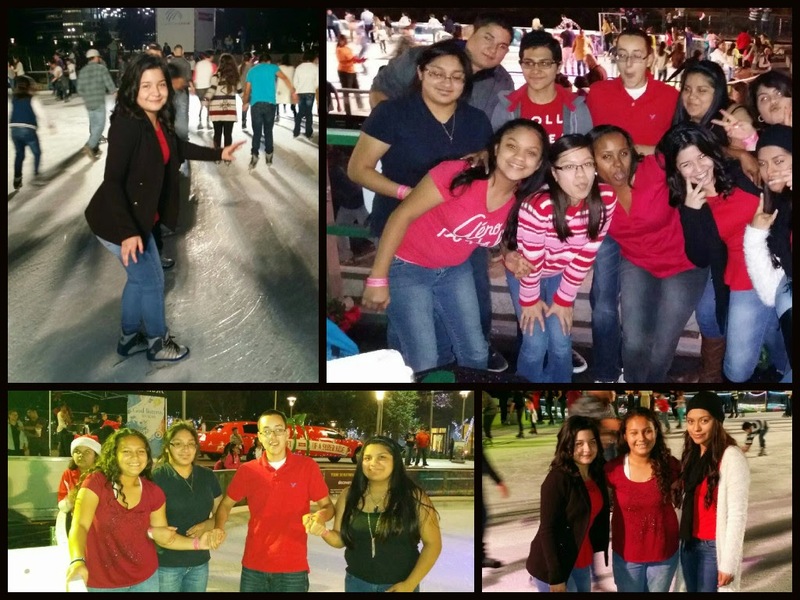 Last Saturday, Midwest Post 7277 volunteered at a fundraiser at the Houston Fire Academy. 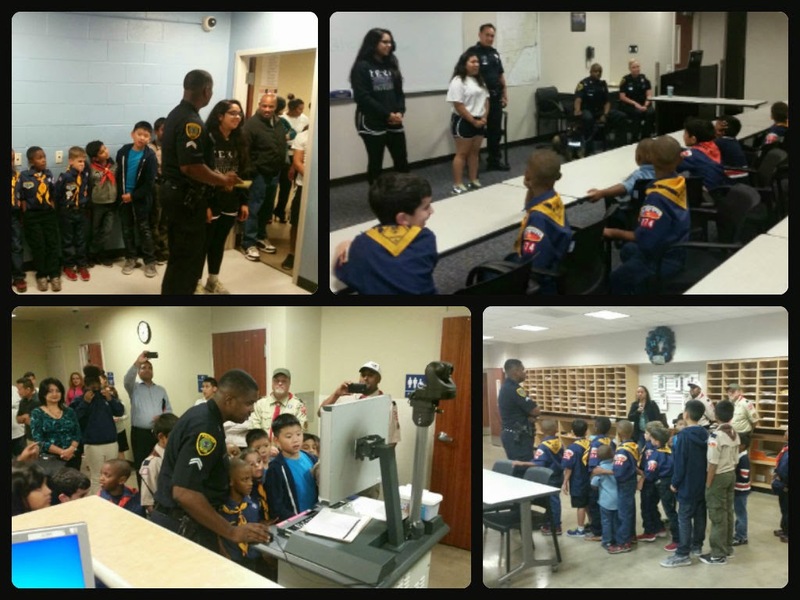 Eastside Explorer Post #7525 held an open house recently at the Eastside Patrol Station. 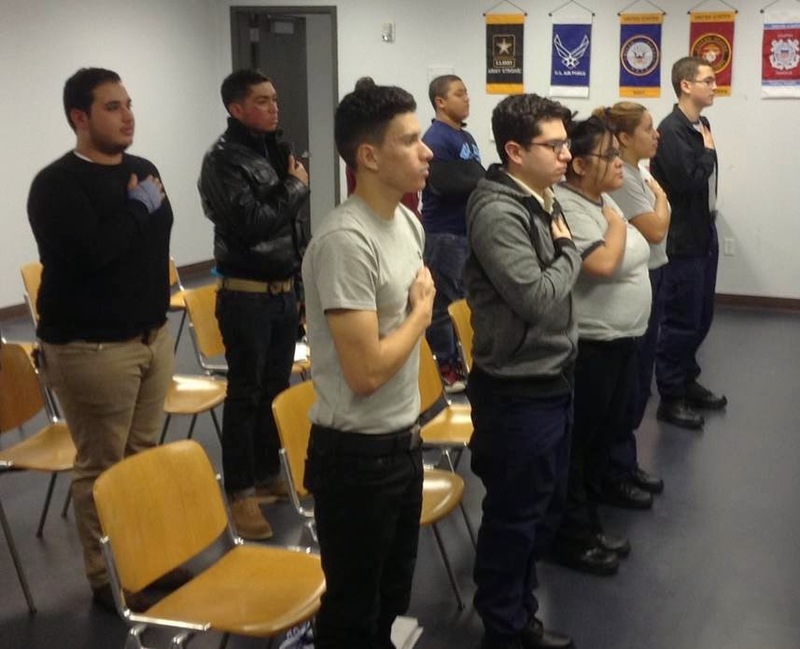 Potential explorers learned about the program and were able to register. 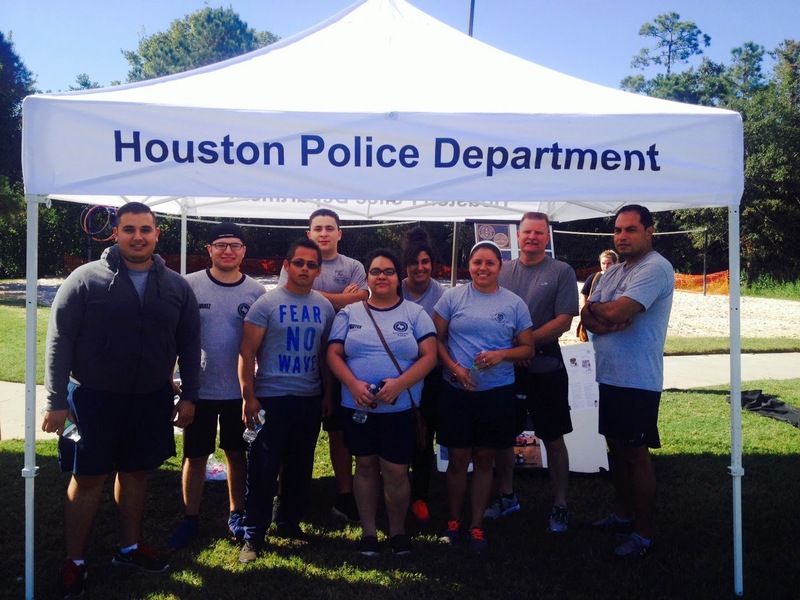 Check out the HPD Explorers at the Badges and Bases run which benefitted the HPD Foundation and the Houston Astros Foundation. 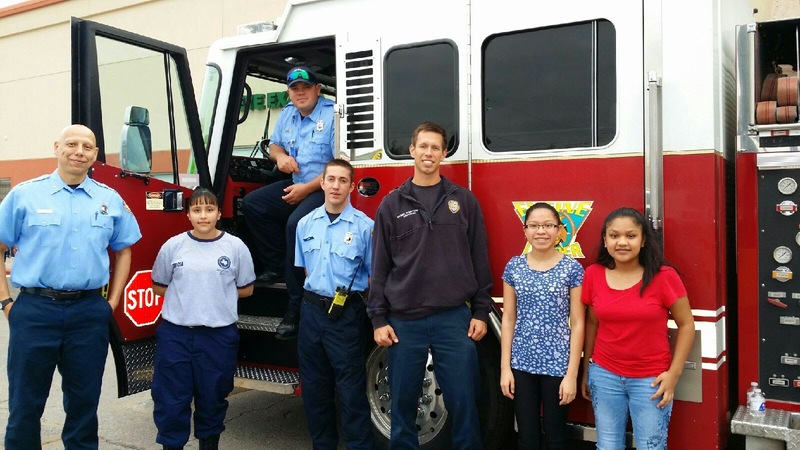 Explorers from Midwest Post 7277 enjoyed the full day of training this past Saturday. 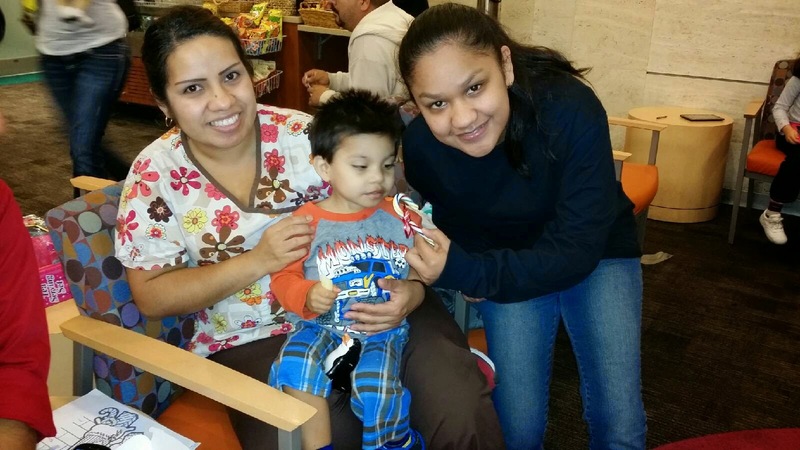 They were treated to frozen yogurt by their advisors. 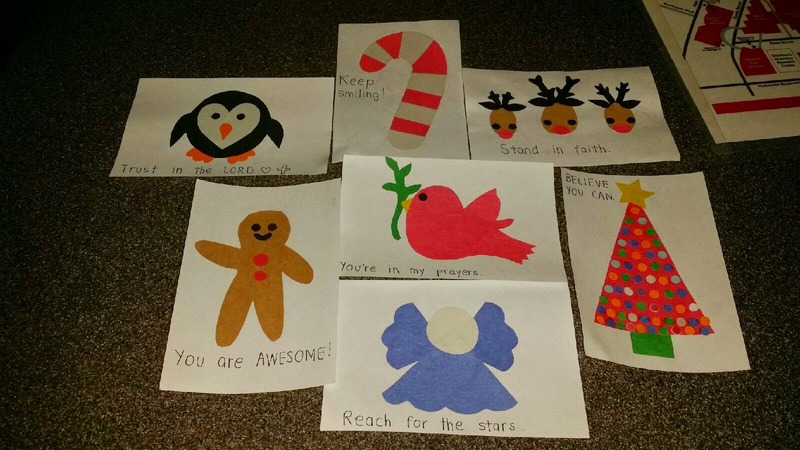 It also looks like they were a bit tired after all the hard work. 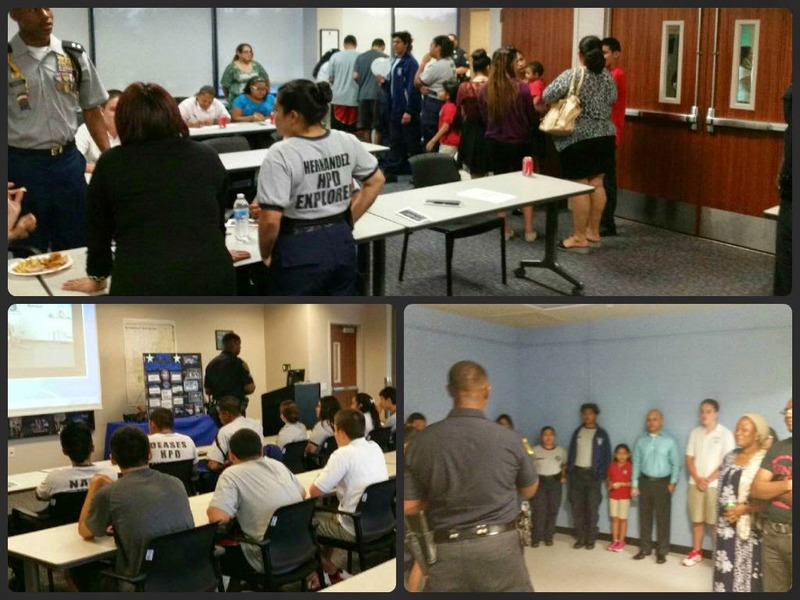 For more information about the HPD Explorer program, contact Senior Police Officer Denito Berry of Public Affairs at 713-308-3200. 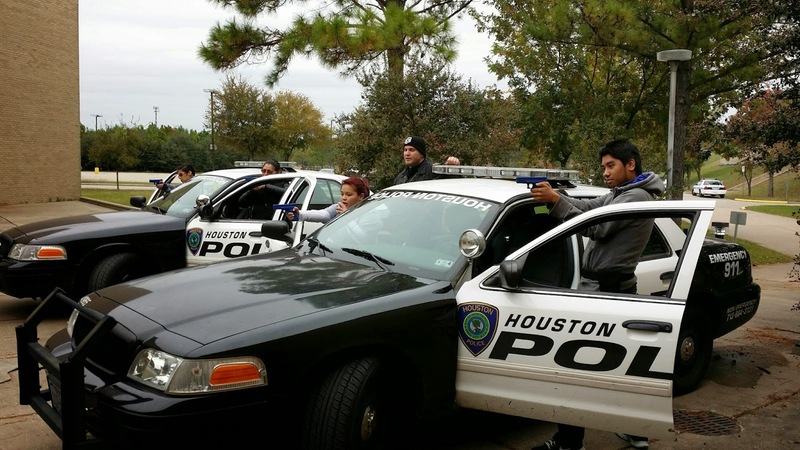 Houston Police Explorers from several different posts met last Saturday for a group training at the Houston Police Academy. 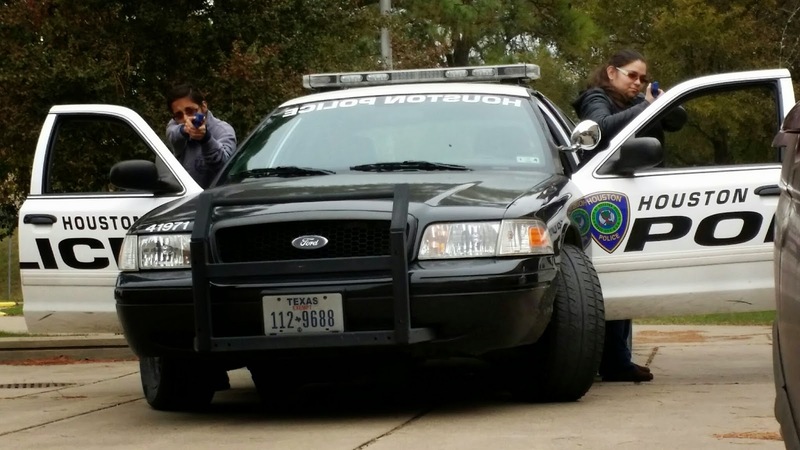 They learned the proper mechanics of handcuffing and searching, hostage negotiation, bomb threats, misdemeanor and felony traffic stops, and used the "shoot don't shoot" simulator. 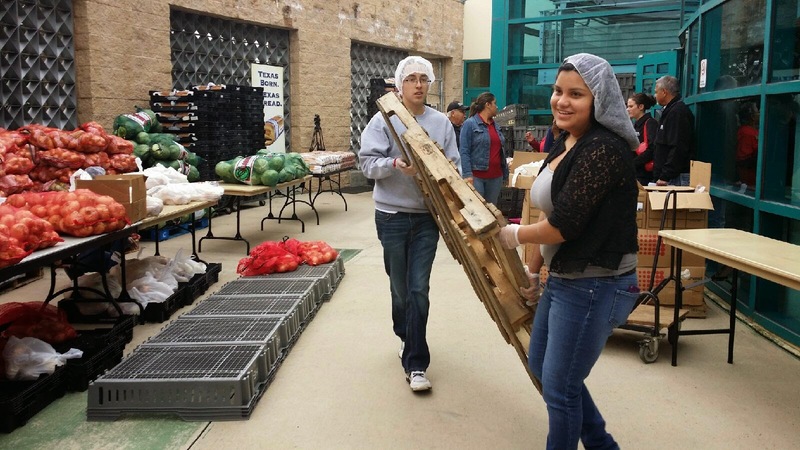 For more pictures from last week's training, go to THIS LINK. 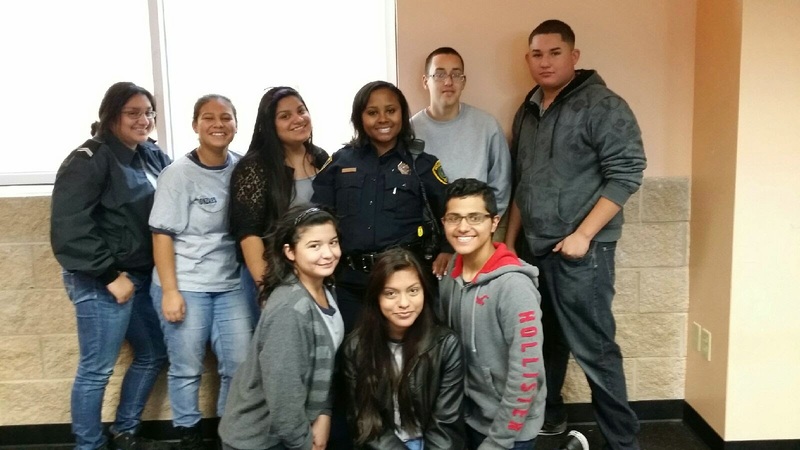 For more information about the Explorer program, contact Senior Police Officer Denito Berry at 713-308-3200. 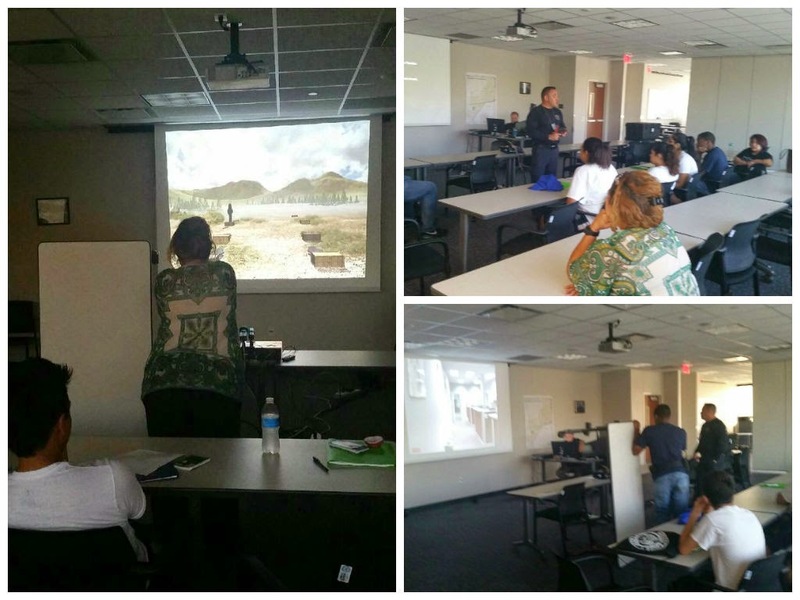 Midwest and Northeast held a combined training session last week. 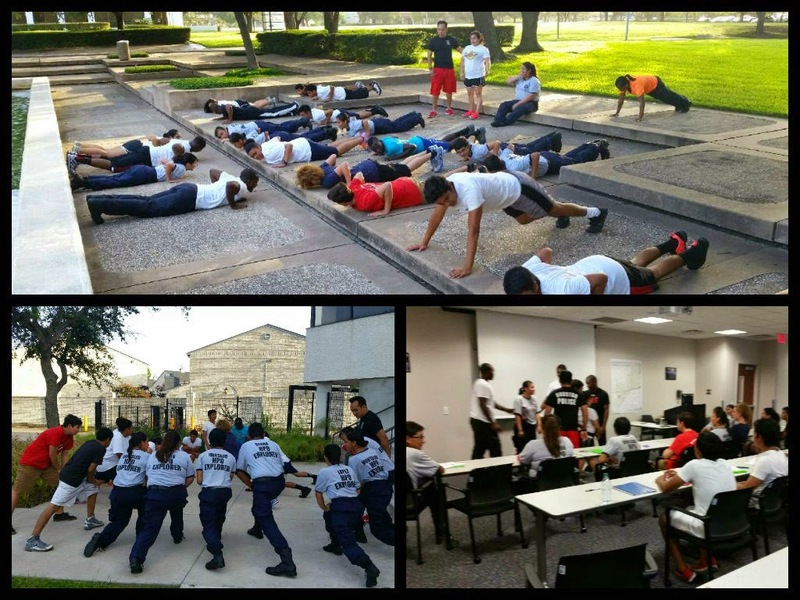 The explorers worked on how to handle disturbances and both posts participated in physical training. For more pictures from this training session, go to THIS LINK. 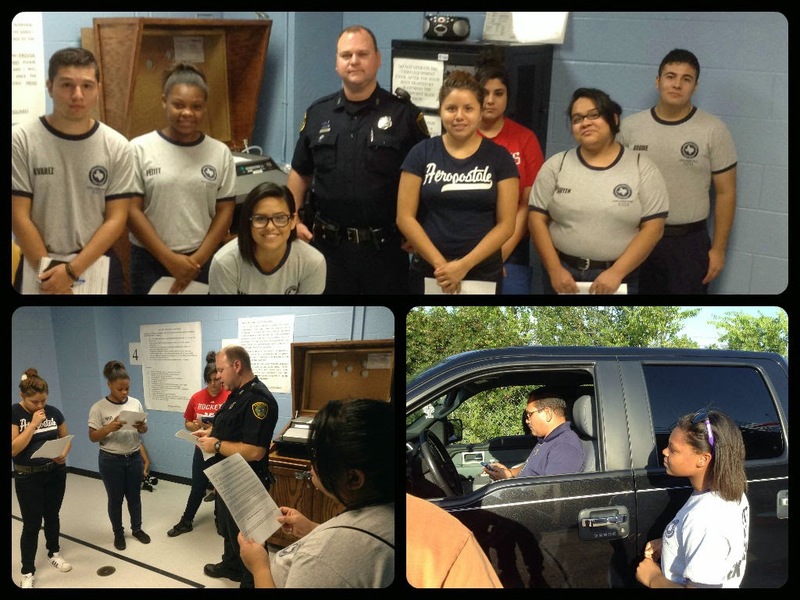 Explorers from Midwest Post 7277 learned the steps of performing a traffic stop. They were also visited by Assistant Chief Buenik who is over the West Patrol Command which includes the Midwest Patrol Station. For more pictures from training at Midwest Post 7277, go to THIS LINK. 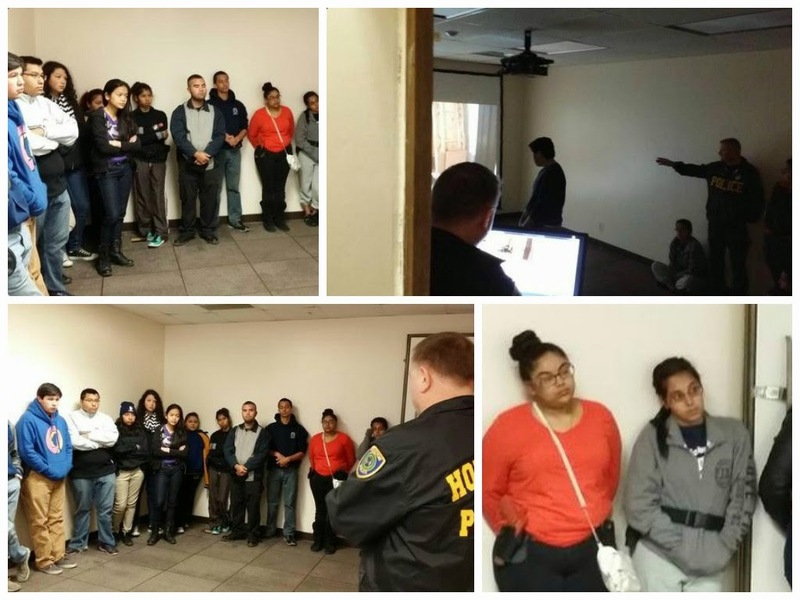 Explorers from the Westside Post #3203 recently visited the intoxilizer room at the Westside Command Station and received instruction about how to process suspected drunk drivers by Officer B. Gross. 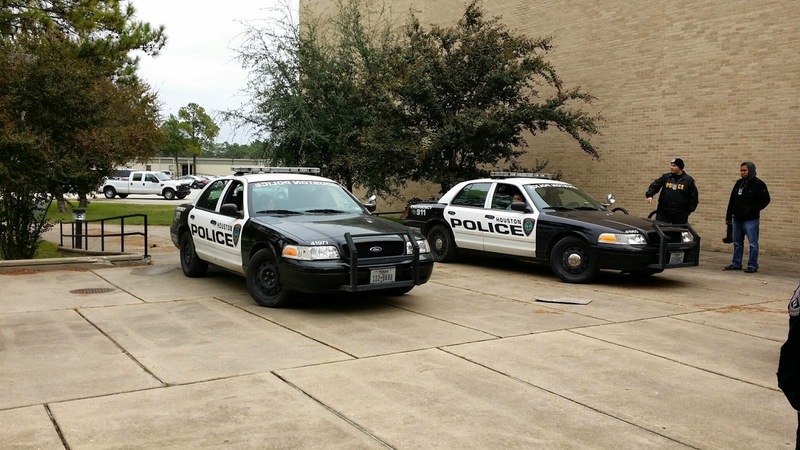 Explorers also went through the steps of properly conducting a traffic stop including approaching the vehicle safely and requesting information. 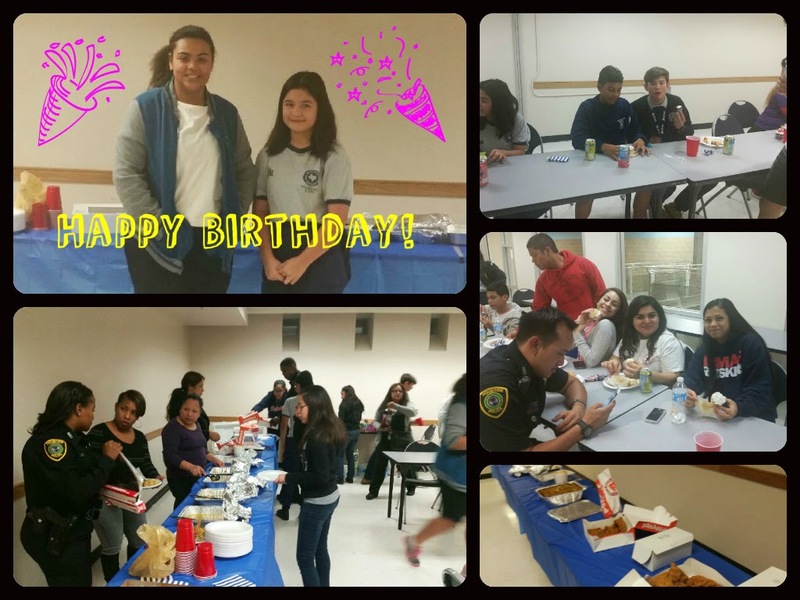 For more information about the Westside Explorer Post #3203, call the Westside Command Station at 281-584-4700 and ask for Officer Cobia. 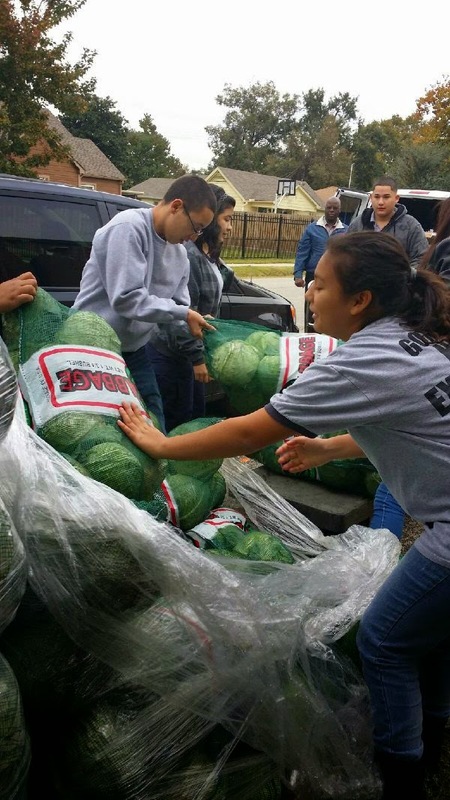 For more pictures from this training, go to THIS LINK. 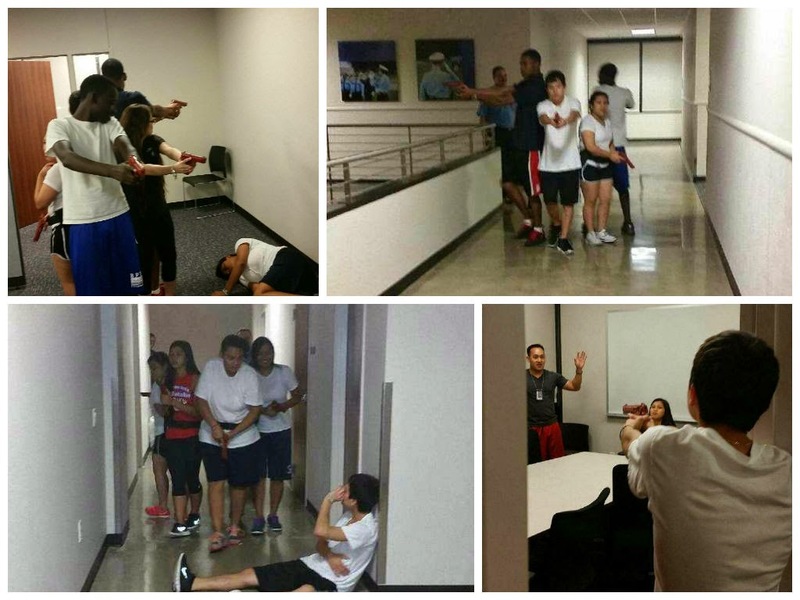 HPD Explorers from Midwest Post 7277 went through the "Shoot Don't Shoot" simulator last night. 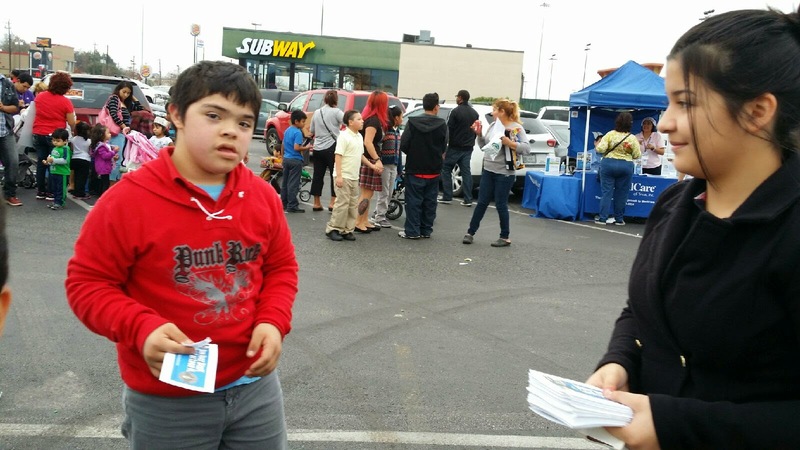 Parents (as shown in one photo here) are encouraged to participate in the explorer post also. 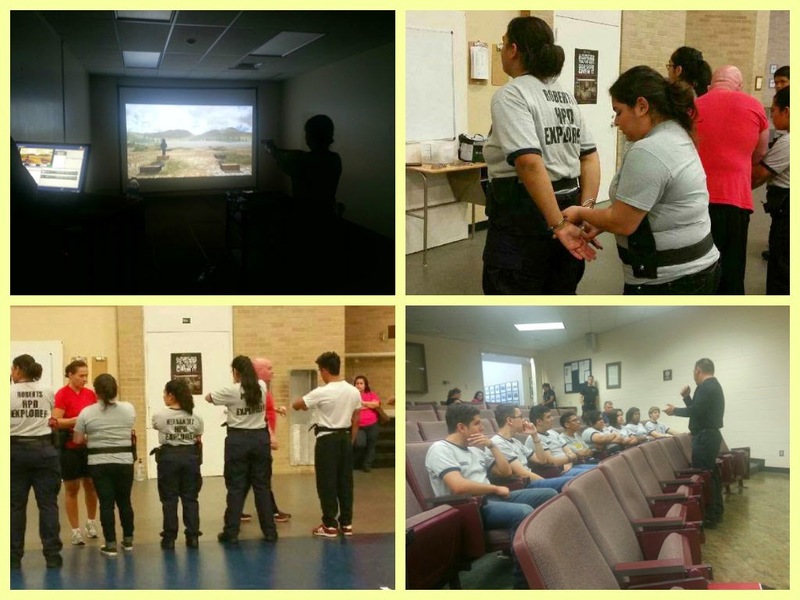 For more pictures from this explorer training, go to THIS LINK. 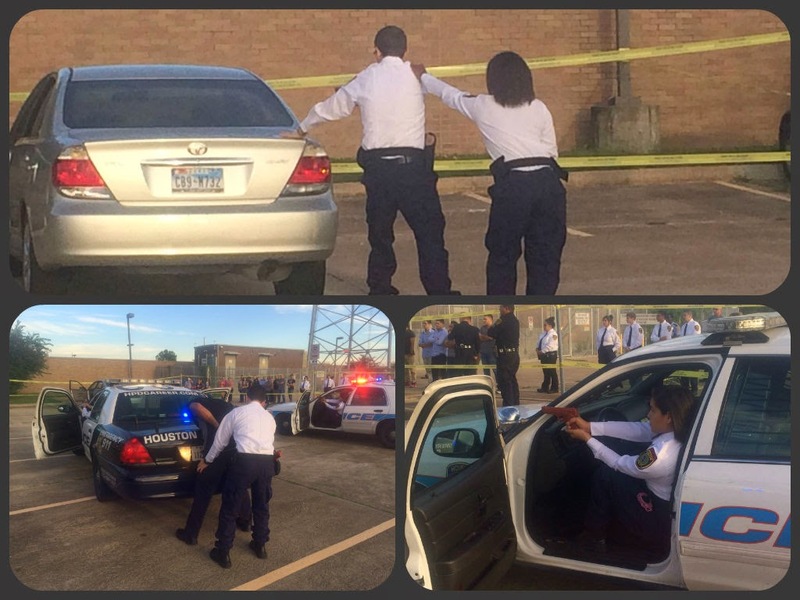 Explorers from Midwest Post 7277 learned how to lift prints at a crime scene. 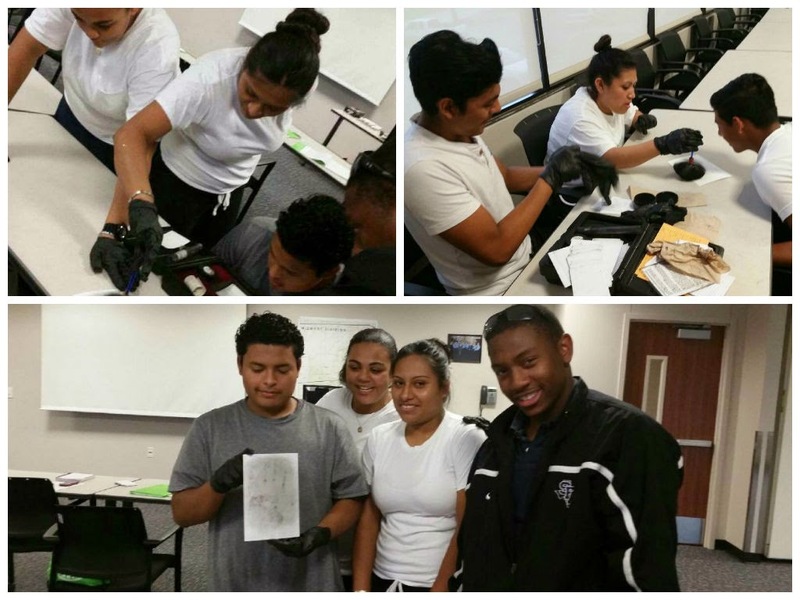 Fingerprinting is one of the many skills explorers learn in the weekly post meeting. For more information about joining an explorer post, visit the "About" page to see which post is closest to you. 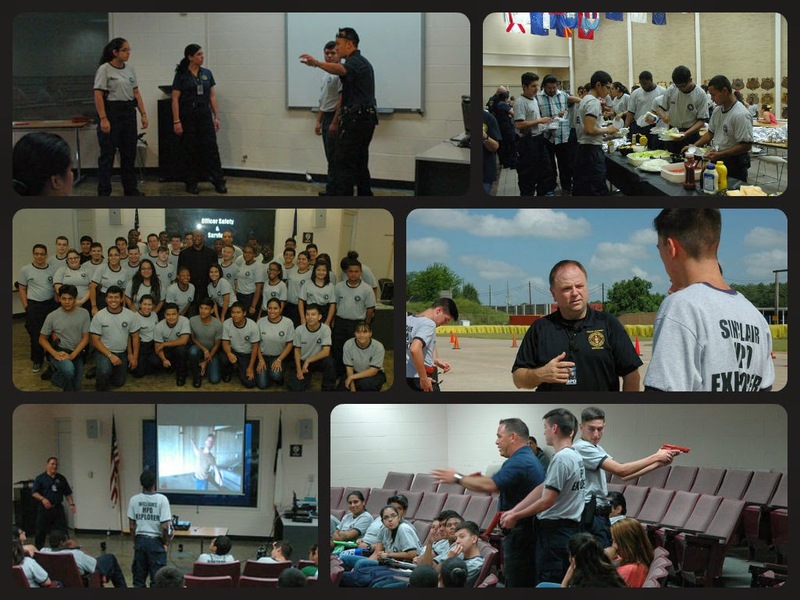 HPD Advisors and explorers held the first joint training session recently. 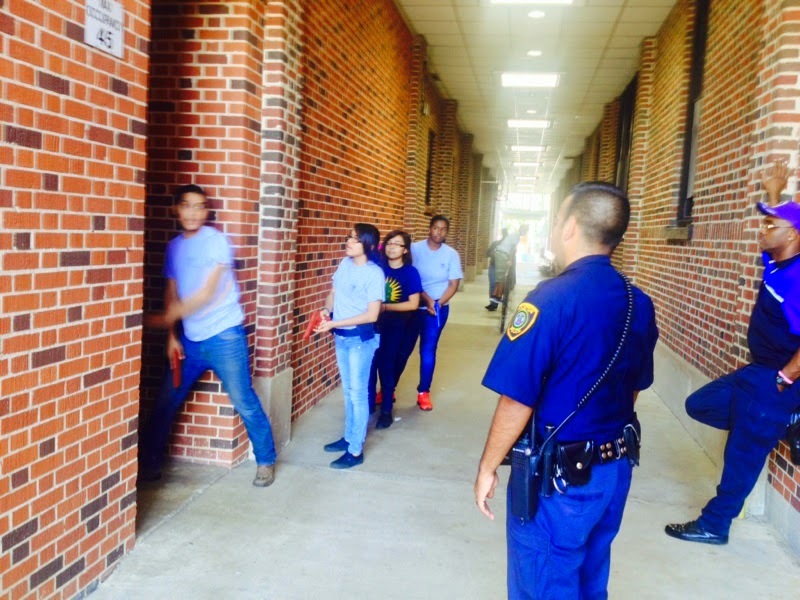 All explorers worked on different scenarios such as active shooter, building searches, traffic stop, and one explorer from each post got to do the "Shoot Don't Shoot" simulator. 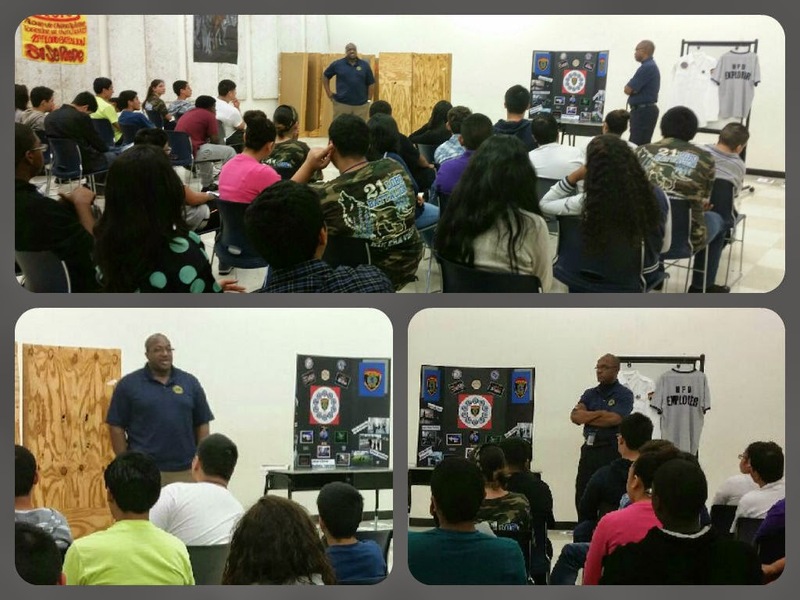 Chief Charles McClelland visited and spoke with the Explorers about the meaning of the program and how excited the department is to have it back. 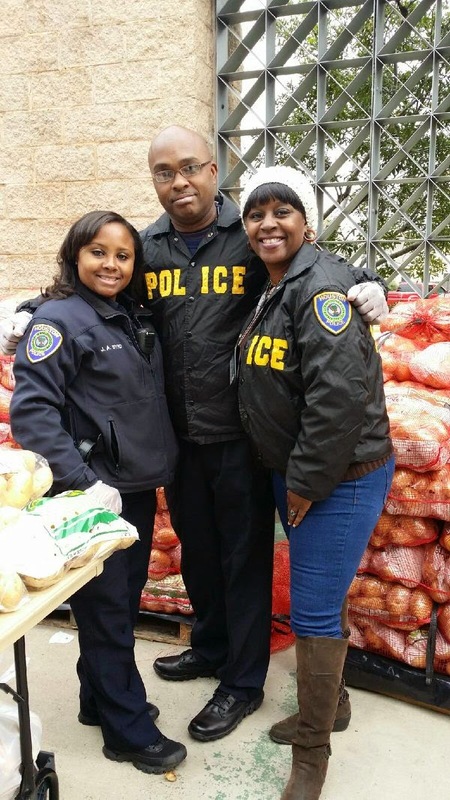 Thank you to the Houston Police Officers Union for providing breakfast and the HPD Citizens' Police Academy Alumni for providing lunch. 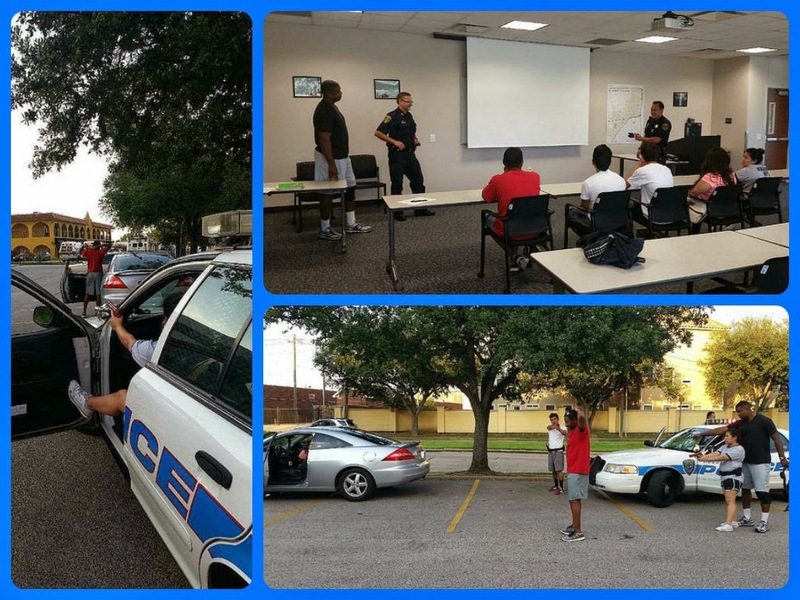 For more pictures from the training day CLICK HERE.